Over the weekend, media painted the narrative that a group of Catholic high school students harassed Native American veterans in Washington, D.C., before having to retract their reports and publish apologies when the fuller story came out. It turns out that the students were not looking to pick a fight with the veterans, who were participating in an Indigenous Peoples March, and video footage showed that the veterans were the first ones to approach them. In a statement telling his side of the story, the junior who was the source of derision this weekend, Nick Sandmann, explained that he was actually trying to diffuse the situation. He was startled by the confrontation, which could explain that strange look on his face that has been circulating on social media. 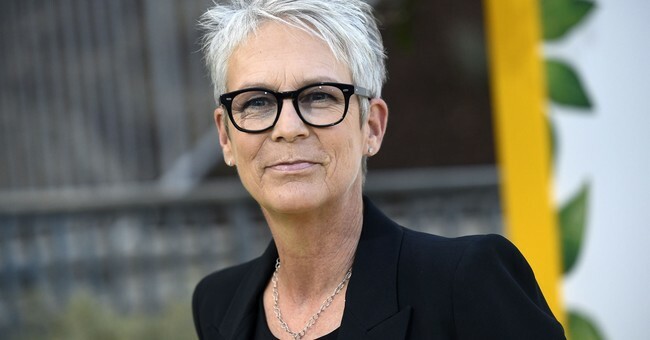 Actress Jamie Lee Curtis was one of several people to say sorry for jumping too quickly to conclusions. She also offered a pretty thoughtful suggestion for President Trump. A major kudos is due Ms. Curtis here, especially considering so many of her fellow celebrities simply deleted their tweets about the Covington students, instead of properly taking responsibility. CNN's Bakari Sellers, for instance, deleted his tweet that suggested the kids should be "punched in the face," while Patton Oswalt linked to a tweet that doxxed the teenagers. Several media outlets and pundits did follow Curtis's lead to take that extra step to either issue an apology, or run follow up reports to provide all the context about the dueling protests that occurred outside the Lincoln Memorial. Hey guys. Seeing all the additional videos now, and I 100% regret reacting too quickly to the Covington story. I wish I’d had the fuller picture before weighing in, and I’m truly sorry.